Vitamin C has also long been known for its help in fighting off colds and the flu, but did you know that it also plays a crucial role in protecting your heart? Today we’re going to share with you the fundamental connection between heart disease and a vitamin C deficiency. Did you know that humans and guinea pigs are the only mammals that don’t make their own vitamin C? In Dr. Matthias Rath’s book Why Animals Don’t Get Heart Attacks…but People Do!, he explains why animals (with the exception of guinea pigs) don’t get heart attacks. It’s because they produce vitamin C in their body. Why is this important? Because vitamin C stabilizes the arteries so that animals rarely develop atherosclerosis, a condition when plaque builds up inside your arteries and causes the artery wall to thicken. How Does Vitamin C Prevent Atherosclerosis? The main cause of heart attack, as well as strokes (4), is a scurvy-like condition of the artery wall. You may be aware that a vitamin C deficiency can lead to scurvy, which is the breakdown of the body’s connective tissues, including blood vessel walls. You could think of atherosclerosis as an early form of scurvy. Vitamin C is an antioxidant that helps reduce cell wall damage caused by free radicals. The most important function of vitamin C in preventing heart attacks and strokes is its ability to increase the production of collagen, elastin and other reinforcement molecules in the body. This improves stability of our arteries. Today, the average person’s diet contains enough vitamin C to prevent scurvy, but not to guarantee healthy artery walls. As a result, millions of tiny cracks and lesions develop along the artery walls. When not enough vitamin C is available, then cholesterol, lipoproteins and other blood risk factors enter the damaged artery walls in order to repair these lesions. 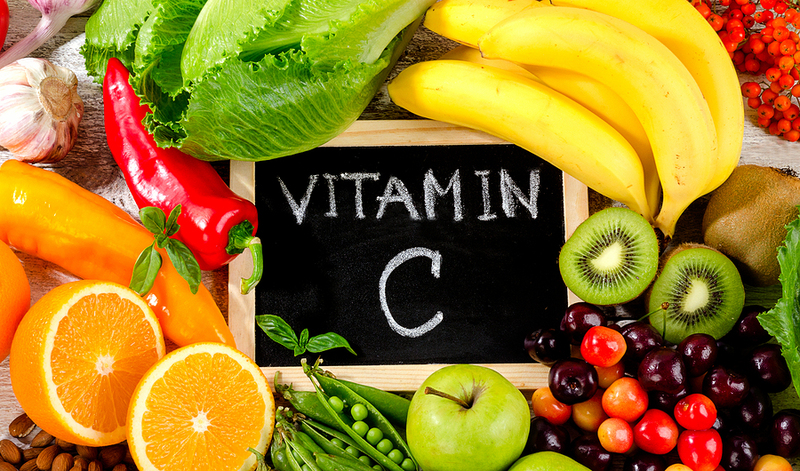 With low vitamin C intake, this repair process can continue for years and years and deposits develop in the arteries. Deposits in the arteries of the heart eventually lead to heart attack and deposits in the arteries of the brain lead to stroke. Click here to listen to Dr. Hotze’s radio interview with Dr. Matthias Rath on vitamin C and heart disease. Humans cannot produce vitamin C. We also don’t get as much vitamin C in our diet today because of poor nutritional habits, processed foods and the overcooking of foods which destroys most vitamins. Since we don’t make our own vitamin C, we have to get it through our food and vitamin supplements. Vitamin C, also known as ascorbic acid, is a water soluble vitamin, meaning that it cannot be stored by the body (except in small amounts) and must be replenished daily. Vitamin C comes in several forms so you can choose the best option for you: capsules, tablets, chewable and powder. How do you know if you have plaque build-up? A heart scan is the only non-invasive way to determine whether you have coronary artery disease. If you are over 40 years old, then you should have a heart scan performed. At Hotze Health & Wellness Center, we offer heart scans with an EBCT scanner. EBCT is non-invasive, open, and safe, and emits the lowest radiation in the CT industry. Have peace of mind knowing that heart disease can be detected, safely and comfortably, in its earliest stages. Contact us today to schedule your heart scan at 281-579-3600. Dr. Matthias Rath – Why Animals Don’t Get Heart Attacks, but People Do! Did a Magnesium Deficiency Cause Carrie Fisher’s Heart Attack?